SOUTHINGTON - A Bristol man has been sentenced to five years in prison in connection with a car accident that killed a man last year. Jason Dominguez, 38, of 511 Emmett St., Bristol, was handed down the sentence this week in New Britain Superior Court. He will also have to serve five years of probation, with five more years of prison time hanging over his head, after pleading guilty to one count of second-degree manslaughter. Charges of driving under the influence and failure to obey a traffic control signal were not pursued. According to police, Dominguez’s blood alcohol content was 0.15, nearly twice the legal limit, during a car crash on March 19, 2017. The legal limit to operate a motor vehicle in Connecticut is 0.08. 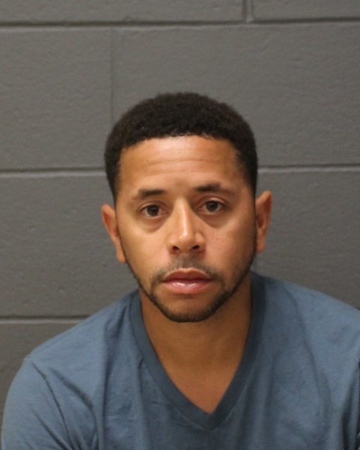 According to the arrest warrant, police said Dominguez was driving a Lexus ES300 west on West Queen Street when he blew through a flashing red light at the intersection of West Street, at about 2:11 a.m. As a result, police said, the passenger side of Dominguez’s car was struck by a Nissan Maxima that was headed south on West Street. The passenger in the Lexus, 32-year-old Jimmy Cintron-Guzman, of Meriden, was seriously injured in the crash and later pronounced dead at St. Mary’s Hospital, in Waterbury. Dominguez was taken to St. Francis Hospital, in Hartford, for non-life threatening injuries. The driver of the Maxima was taken to Waterbury Hospital for minor injuries. According to the warrant, officers at the scene of the crash spoke to Dominguez and he told them he had been drinking at a local bar before the crash, but that it was much earlier, at about 5:30 p.m. He had a hard time reciting the alphabet when asked to do so, police allege. Additionally, at the hospital, Dominguez spilled his urine sample. Police said it was unclear if this was accidental or a deliberate attempt to contaminate the urine. Enough urine was saved for a sample, which police later used to determine Dominguez’s BAC. Officers, during the investigation, also looked at video surveillance from the bar where Dominguez said he had visited. Police, according to the warrant, found that he and Cintron-Guzman entered the bar just before midnight and left shortly before 2 a.m. Police said the surveillance showed Dominguez consuming four alcoholic beverages, in addition to two shots. Posted in The Bristol Press, Southington Herald on Thursday, 13 September 2018 17:12. Updated: Thursday, 13 September 2018 17:15.